GDPR was essentially created after the ̶l̶i̶z̶a̶r̶d̶ ̶s̶c̶a̶n̶d̶… creator of Facebook Mark Zuckerburg did a big bad with a huge amount of peoples data I’m sure you’ve already heard/seen enough of that. It’s main design was to expand, refine and further increase what the Data Protection Act already did cover (with less rights, and in general a bit more “looser”) approach. This time around we can explicitly request erasure of our data, see how it’s being held, how it’s being used, request amendments or opt out. With bigger penalty causes for companies/individuals (yes, even a single developer) that don’t comply to GDPR. We cannot communicate directly with the user that invoked the request to confirm there data has been deleted or give them a “reasonable justifiable explanation” as to why we haven’t of yet which makes this implementation of GDPR notifications very risky as the invoker could investigate further in extreme cases. Now this is a pretty interesting one players can have the right to modify their data but this is one you should mainly be concerned about if you use some kind of analytic system (like Game Analytics) if you track relevant ties. 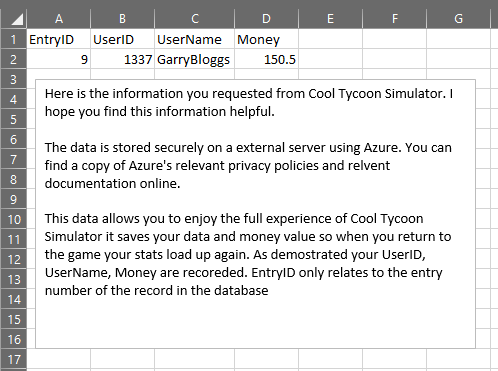 So if you record nothing that ties data to the user (e.g. player visited shop and brought 1 power potion) VS (GarryBloggs visited shop and brought 1 power potion) the first is the most ideal solution to use to swerve the worries. If you do insist on using “GarryBloggs visited shop and brought 1 power potion” you’ve still included his username and/or his UserID so that’s some data that’s still eligible for all GDPR actions. Generally easy to avoid, stating it isn’t possible to modify your data to the interest of fairness and data integrity. A player can’t go to Rockstar and GTA V with GDPR and ask them “lol change my money becaus i hav rigts! !11” they give the same explanation. 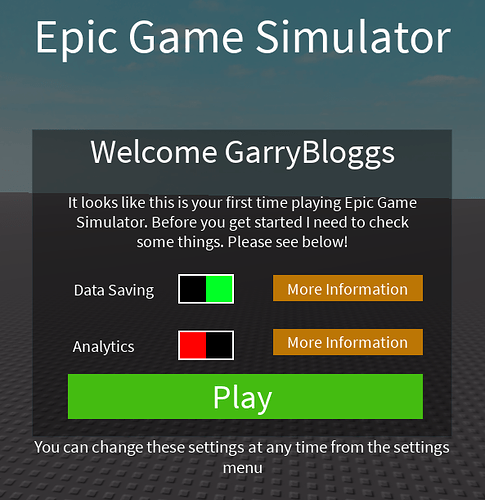 I’ve created an Amazing game called “Epic Game Simulator” now it’s all ready to go. Just working on how I plan to save data baring in mind GDPR to work for me as much as it can (to also reduce the workload on myself) I already know there’s spelling mistakes dotted around. I was paying more attention to writing the thread. I’m going to inform, inform, inform and inform my players where there data is, how it’s being saved and how it’s being used. Did I mention I’m going to inform players? 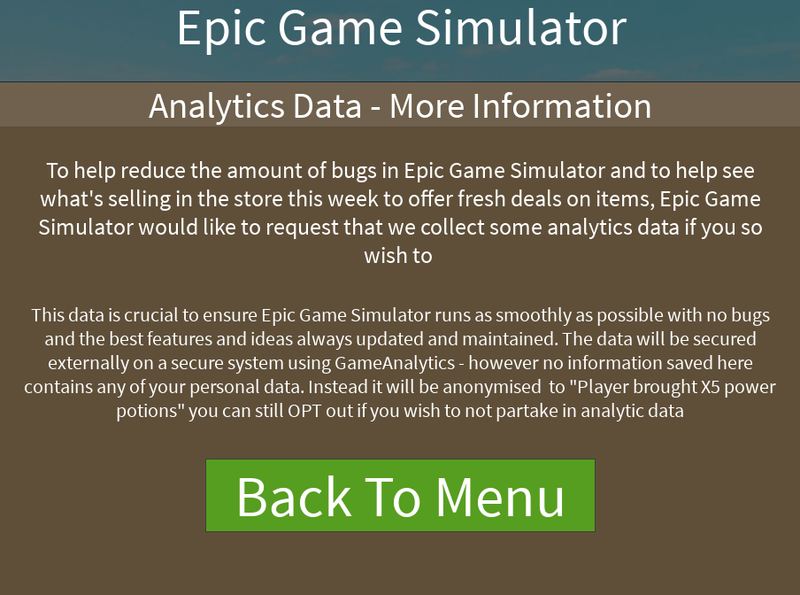 I seriously can’t express how important it is to literally just inform players that there data is being saved it might be obvious to you but not to them. This is also one of the additional rights of GDPR “right to be informed” so you’re informing the player before they’ve even touched any kind of data saving. 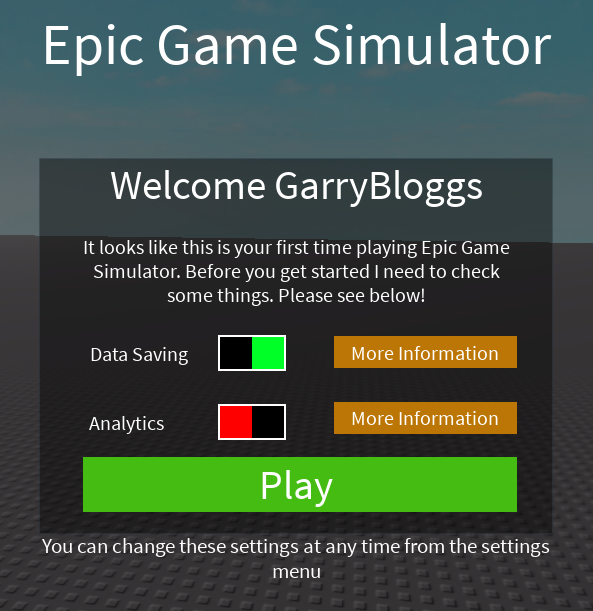 So GarryBloggs hasn’t played Epic Game Simulator yet so let’s welcome him. We can see in my menu GarryBloggs can opt out of having his data saved if he so wishes. 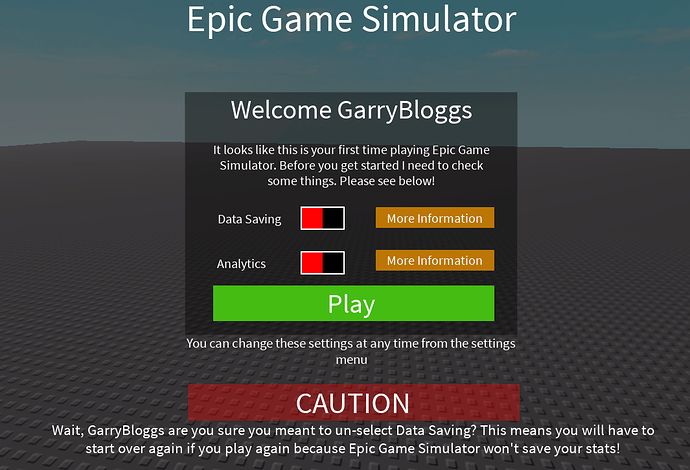 GarryBloggs might just want to play without any data being saved on him which is perfectly acceptable - although we should make it abundantly clear to GarryBloggs that this means nothing will save and he will have to start over. 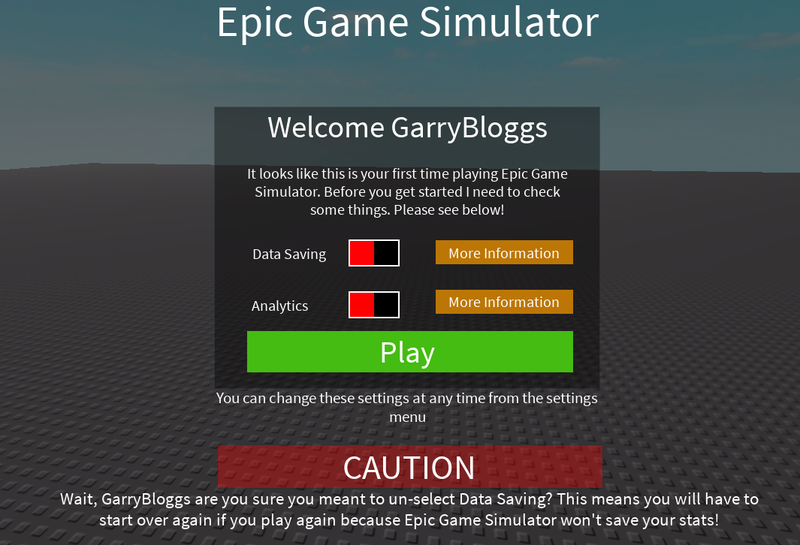 GarryBloggs has decided again he doesn’t want Epic Game Simulator to have any data which is still fine and not a problem. We don’t take to take much action on the Analytics because remember they was anonymised but just don’t send any more data going forward to honour GarryBloggs wishes. Now here comes the tricky part GarryBloggs has opted out of Data Saving so we’ll stop saving his data but what do we do with his already existing data? He might of decided I don’t want my data saved going forward - but the data you have on my save file is still perfectly fine. 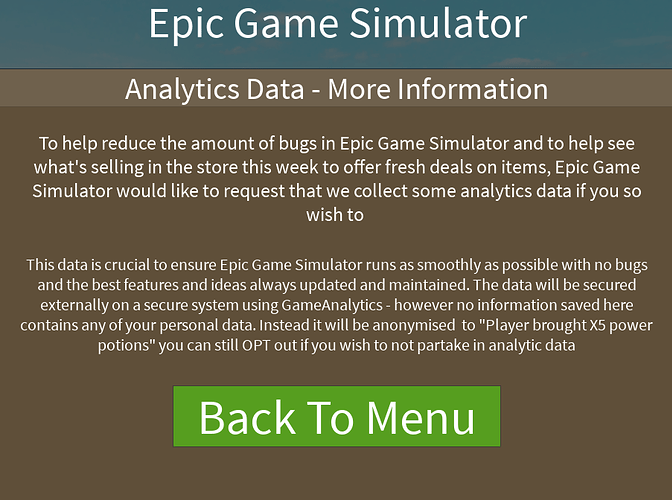 So we’ll ask (never assume) an additional prompt on “What should Epic Game Simulator do with the data already?” with an option to “Keep It” or “Erase it” of course “Keep It” shows that GarryBloggs doesn’t mind us keeping the save data for him already and we’ll say “Thanks, Epic Game Simulator will keep and load your existing save data - but won’t save any more going forward”. Give GarryBloggs exactly 30 seconds to quickly change his mind and cancel the data being erased. If the 30 seconds pass successfully 3 seconds later the data will be erased permanently. 5) Wait a new game “Train ride around the UK!” GarryBloggs playing but wait this game doesn’t have any data saving in it. You literally just ride around in the train, nothing is saved you can come and go at any time - this whole thread doesn’t exist for you even if you get a GDPR right to erasure request, if you know and can swear 100% that your game doesn’t collect any data then you’re safe. Keep chugging on making cool train games without a care in the world. I salute you! 6) When designing any kind of game and the DataStores don’t use something you won’t be able to find later the amount of people I’ve seen saving data overly complicated stop making it hard for yourself. 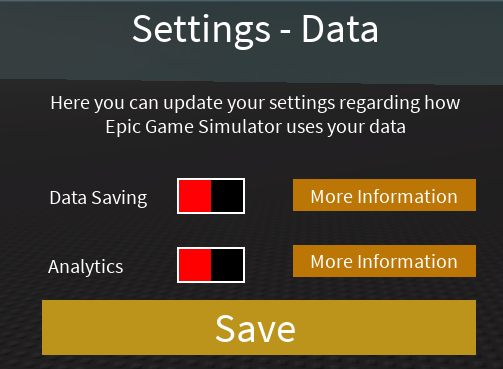 Literally just use a standard format “[USERID]_save” and all the relevant data you want to save under that player. Previous Experience One of the most biggest things to help you in a GDPR request is how well you document/inform everything. If for any extreme reason you want to say "but I did this and this and this and this" make it go in your favour in general. They opted into their data being saved, they knew how it was being used, they had every right to opt out without question and the right to delete their data from my game. That's much stronger than just "lol what is GDPR? 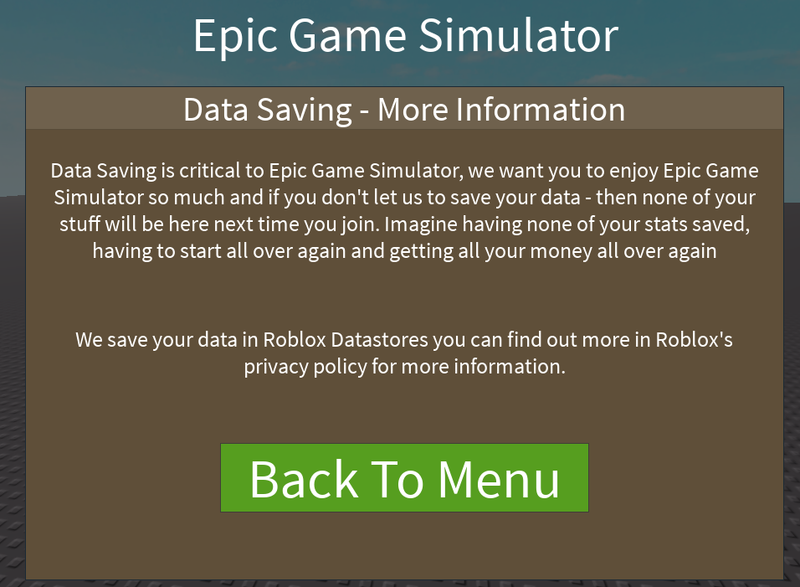 idk how i saved the data, i took data without asking"
Inform your users of what you’re doing with their data, give them the ability to nuke said data, explain where you’re using that data, in the future if Roblox supports it - allow them to read/get a copy of said data, provide opt ins and opt outs. I hope this thread provided you with at least some better knowledge then just getting stressed instantly at the thought of GDPR it’s a big scary sure but it’s there to stop a zucc from doing the Cambridge Analytical Scandal all over again. This thread took a long time to write, verify and check but there still might be some small/minor issues and welcome any feedback. I apologise in advance if it’s a little jumbled/back to front but I hope you find value in this thread. Don’t do a zucc, just don’t!